The SewMate Plus IV has everything you need to maximize your sewing area, no matter how big or small. This gorgeous studio perfectly complements your home as well as the capabilities of your machine. 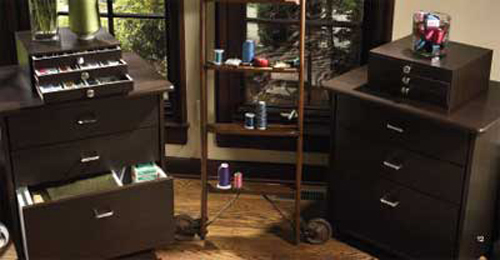 Enjoy spacious shelves, a home for your Madeira Thread Chest, fabric and notions palettes, an area for thread and notions boxes and more.